What The Bleep Is Neurofeedback You Ask? more insights into Neurofeedback, not just for robots! I have been wanting…..okay attempting…..to write a post about the internship I was doing in neurotherapy. Specifically, a post that would explain what neurofeedback is and its use in treating brain disorders of any kind. The post would be easy to understand, comprehensive without being overwhelming, with a bit of humor thrown in for good measure. I was on draft number four of writing said post when a peer emailed me the article below and I thought, “Wow,this guy just took the words right out of my mouth…..and did it better than what I was imagining!” So, of course I have to share it with all of you. I hope you enjoy it as much as I did and that it spurs you on to learn more and share with others. Neurofeedback: Alternative Health Care for Robots? Thanks Aelana for this really interesting harp music therapy programme that looks at the relationship between the heart and music. The site contains an interesting vimeo from the Institute of Heart Math about the heart and music. Good information on using biofeedback to train heart rate variability, and induce relaxation and healing in the body. When we lose consciousness or die, the hearing is one of the last senses to go. Maybe this is why music is so sacred. This also spreads light on why chanting is so healing. Harp playing relaxes, energizes, soothes, and heals the youngest of children and oldest of adults. really interesting advanced cognitive neuroscience and application of gaming, mobile technology etc. Really cutting edge brain training! I just attended the second annual Entertainment Software and Cognitive Neurotherapeutics Society (ESCoNS) conference. Say that five times fast. This conference brought together people in the gaming world with cognitive neuroscientists. I went because I’m developing (and testing) an app that I believe can help people reduce stress, worry, and anxiety in their lives. In addition to more deeply exploring how to make mental health truly fun, I felt that I was seeing the future of mental health unfolding before my eyes. Get Plugged Into Earth – Thanks Anne! Thanks to my chi-gung teacher for sending this link to aBBC radio barefoot walk and talk about the benefits of barefoot walking. Take of your shoes and socks, walk on the ground outside, OBSERVE how you feel when your feet are on the ground! And Now For Something a Little Bit Different … Epilepsy and the Electromagnetic Spectrum – What’s the frequency Kenneth? This post started out as something else. I wanted to talk about my relationship with the electric light box and was looking for information on television and computers and epilepsy. BUT, like many of my searches this one turned into an EPIC surf. Way back in the days when there was such a thing as black and white televisions, I had my first seizure in front of one. It was the first of many, but since then my relationship between TV, strip lights, computers, patterned carpets and mobile phones has been ‘complicated’. One of my friends told me that her friend with epilepsy couldn’t put a mobile phone within 3 inches of her head without having a seizure. I am not quite that bad, BUT I always wanted to know why? For people with photosensitive epilepsy the number of times a computer screen or television ‘refreshes’ or flickers may case a seizure. With the dawn of a digital age things have changed slightly (a lot!) since I had my first seizure and so liquid crystal screens have replaced the old cathode ray tubes in televisions that used to be such a bother to people with the wrong seizure threshold. This is obviously for the better in my case! (2) However the risk has not been completely removed because the newer screens are brighter and have more contrasting colors. Is it me or does anybody else find the electric light box just a teensy, weensy bit hypnotic?? Obviously new technology has brought many benefits to the epileptic brain, for example MRI scanning, EEG, FMRI scanning, TMS, CAT scans and of course for anyone with broken bones there is the X-ray. So obviously for brain imaging this is a very useful piece of technology. Then there is TMS or Transcranial Magnetic Stimulation. (7) TMS has some seriously interesting effects on the epileptic brain. Could this explain why a mobile phone could cause a seizure? What are the risks of TMS? ‘Although TMS is often regarded as safe, the greatest acute risk of TMS is the rare occurrence of induced seizures and syncope. More than 16 cases of TMS-related seizure have been reported in the literature, with at least seven reported before the publication of safety guidelines in 1998, and more than nine reported afterwards. The seizures have been associated with single-pulse and rTMS. Reports have stated that in at least some cases, predisposing factors (medication, brain lesions or genetic susceptibility) may have contributed to the seizure. A review of nine seizures associated with rTMS that had been reported after 1998 stated that four seizures were within the safety parameters, four were outside of those parameters, and one had occurred in a healthy volunteer with no predisposing factors. A 2009 international consensus statement on TMS that contained this review concluded that based on the number of studies, subjects and patients involved with TMS research, the risk of seizure with rTMS is considered very low. 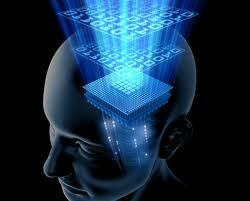 All very interesting studies that relate to the use of electromagnetic technology and brain science. So what other studies have been carried out? Correlation between convulsive seizure and geomagnetic activity. One blogger has even explored his wife’s relationship with solar flares (9) and in February 2011 the epilepsy.com forum (10) became host to a really interesting conversation and debate about the effects of solar and geomagnetic stress on epilepsy. If you like me think that lunar events effect your seizures then check out the solar activity! This you tube video sums up nicely some of the unusual results of solar research and the brain. (see abouve). In relation to geomagnetism one study appears to be making comparisons to human EEG measurement and earthquake measurement. The Epilepsy Therapy Project(16) recently reported on a study in Japan showing an increase in epileptic seizures in the 8 weeks following the tsunami in japan in 2011. The theory behind this is that higher stress triggered the increase in seizures. The study does not mention any increase in seizures on the day or in the days preceding the earthquake. For me epilepsy is an ideal area to begin to look at the complex relationship we have with the electromagnetic spectrum, physics and biology or biophysics (17). 8) ) http://www.ncbi.nlm.nih.gov/pubmed/7254715 Correlation between convulsive seizure and geomagnetic activity. The concept of Biofeedback has been practised for time immemorial by Yoga and Pranayama students and masters. Here in the west it has developed to its current form since the late 50’s and was very popular in the 80’s. Since then it has sadly somewhat disappeared from the popular radar again, as do so many worthy and non invasive natural therapies. Mostly due to funding issues in the ever ongoing effort of pharmaceutical companies to suppress what would outshine their products. Research so far has been working in particular to prove its worth as a treatment of epilepsy, autism, headaches, insomnia, addiction problems and more, but its benefits can be felt by anyone who has suffered an emotional trauma. However, you do not need to be diagnosed with a medical condition to benefit from this treatment, as it is designed to optimize brain function. “The Healing Power of Neurofeedback”, (2006), by Stephen Larsen Ph.D. Healing Arts Press. Which humbly and quietly sat in my bookshelf for three years, until I was hunting for something new to read during semester break. What I found in this book had me totally spell bound, a treatment called LENS Technique, developed by Len Ochs. After several hours of googling, I found a practitioner in Melbourne, who had recently migrated from Germany. I booked myself in for six treatments, which was explained to me as a usual course of treatment. Even though, the cost was not outrageous, I could instantly see, that it would be out of reach of exactly the majority of the population needing it – no medicare funding! What I experienced even after the first treatment was sensational (and lasting)– I became acutely aware of all the tension in my body; that I was holding a pen like a sword, my shoulders had taken up position at ear level and my breathing was shallow. By the time I got home after an hours city driving, I was in total and utter relaxation – of the ragdoll kind, but aware and alert, I felt fantastically at peace. I would recommend it to everyone! During LENS treatments you sit relaxed in a comfy chair, the practitioner connects several tiny electrodes and you can keep an eye on your heart and breathing rate on a screen. While treatment was going on I was watching a lot of David Attenborough nature documentaries, which I found helped the relaxation tremendously. At no point was there any discomfort or difficulty. The positive outcomes kept piling up, I was able to relax again, sleep better, manage my workload better and generally felt a fair bit more human friendly, which is a big plus when you work in Mental Health. I would really like to encourage you to get the book, have a look at the websites and contact a practitioner in your area – no amount of me raving on about how greatly it helped me can substitute having your own experience. for further information on nautral mental health many topics.